IURD was established in 1962. Its research agenda at that time mirrored the social unrest of the 60s, including the disparities in economic opportunities and access to social services in American and world cities. 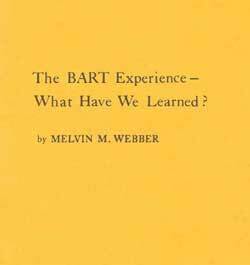 Among the notable projects from the early years were the BART impact studies funded by the Metropolitan Transportation Commission and capsulized in the IURD monograph, The BART Experience—What Have We Learned?, by Melvin W. Webber. In the 1970s, much of the research focused on state planning and policy, transportation policy, and studies of the natural environment. 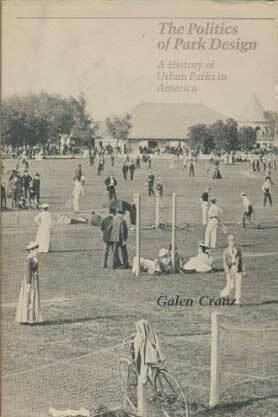 In 1975, Professor of Architecture Galen Cranz wrote an historical analysis of the role of public parks in American urban life. In the 1980s, the University-Oakland Metropolitan Forum was established. Working with the community, faculty and graduate students applied their research methodologies and theories to community programs and problems. International research was also an important part of IURD's research agenda at the time. 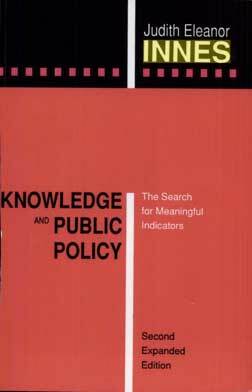 IURD Professor of City an Regional Planning Judith Innes' 1990 book, Knowledge and Public Policy. During the 1990s, along with locally-based community work, the Institute supported faculty pursuing international research. 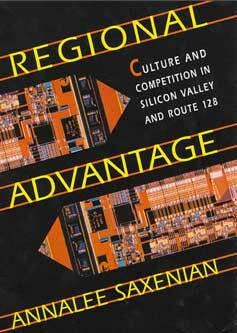 School of Information Dean and Professor Annalee Saxenian produced her landmark work on the dot-com culture, Regional Advantage: Culture and Competition in Silicon Valley and Route 128. 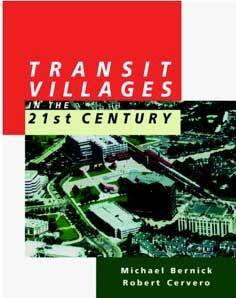 City and Regional Planning Professor and IURD Director Robert Cervero co-authored with Michael S. Bernick a global survey, Transit Villages for the 21st Century. 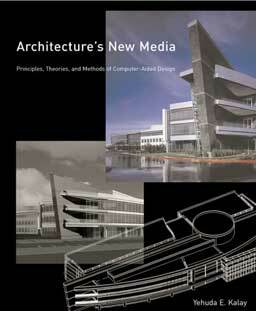 Professor of Architecture Yehuda Kalay completed the book Architecture's New Media. 1972 Environmental Simulation Laboratory (ESL) created within IURD, with funding from the National Science Foundation (Donald Appleyard, Departments of City and Regional Planning (DCRP) and Landscape Architecture and Environmental Planning (LAEP); Kenneth Craik, Department of Psychology). ESL was later transferred to CEDR under the leadership of Peter Bosselmann (DCRP, LAEP). 1982 Berkeley Roundtable on the International Economy (BRIE) created within IURD (Stephen Cohen, DCRP; John Zysman, Department of Political Science). BRIE set up its own offices in 1996. 1983 Berkeley Planning Journal began publication, edited by DCRP graduate students, with technical and financial support from IURD. 1986 University-Oakland Metropolitan Forum created as IURD's major community outreach unit (Ed Blakely, DCRP; Chancellor I. Michael Heyman; Melvin Webber, DCRP; David Dowall, DCRP). 1988 Biotechnology Industry Research Group (Ed Blakely, DCRP; Suzanne Scotchmer, Department of Public Policy). 1988 UC Transportation and Research Center (UCTC) created, spinning off from IURD's transportation research agenda (Melvin Webber, DCRP). 1991 National Transit Access Center (NTRAC) created to study how to encourage housing and mixed-use development around rail transit stations and to bring the research to policymakers (Peter Hall, DCRP; Michael Bernick, now with California Employment Development Department). 1994 Bay Area Community Outreach Partnership Center (BACOPC), a partnership of UC Berkeley (IURD), San Francisco State University, and Stanford University, funded by the US Department of Housing and Urban Development (Judith Innes, DCRP; Victor Rubin, University-Oakland Metropolitan Forum). 1995 Bay Area Defense Conversion Action Team (BADCAT), a partnership of IURD and the Bay Area Economic Forum, funded by the James Irvine Foundation (Judith Innes, DCRP; Sunne McPeak, Bay Area Economic Forum). 1995 Geographic Information Systems (GIS) laboratory set up in IURD to evaluate land use and growth management (John Landis, DCRP). 1995 Joint Community Development Program established with a $2.4 million grant from the US Department of Housing and Urban Development, with additional support from the Chancellor (Judith Innes, DCRP; Victor Rubin, University-Oakland Metropolitan Forum). 1996 Campus-Community Coalition established to engage faculty and student researchers in revitalization of Berkeley neighborhing Southside (Judith Innes, DCRP; Barbara Hadenfeldt, IURD). 1997 The Berkeley Alliance created, a partnership of the City of Berkeley, the Berkeley Unified School District, and UC Berkeley (IURD and the Community Relations Office). 2000 The Community Partnerships Office replaces the University-Oakland Metropolitan Forum as IURD's community collaborations center (CPO Director Heather Hood). 2004 The Center for Cities and Schools established to bridge the fields of education and urban policy and foster a collaborative environment linking the university, public schools, community leaders, and neighborhood residents (CC&S Director Deborah McKoy, Deputy Director Jeff Vincent). 2004 IURD was chosen to administer a new campuswide academic and research initiative, the Center for Global Metropolitan Studies (Co-Chairs Elizabeth Deakin, DCRP; Peter Evans, Department of Sociology). Two interdisciplinary research programs established: the Shrinking Cities International Scholars Group and Agriculture at the Metropolitan Edge. 2004 IURD became home to the prestigious Journal of Planning Education and Research through 2008 (Karen Christensen, DCRP; Karen Chapple, DCRP). 2006 The Center for Community Innovation (CCI) replaces the Community Partnerships Office. CCI remains the center of IURD's community collaborations. Under the leadership of Executive Director Karen Chapple (DCRP) and Director Heather Hood, CCI takes community collaborations to a higher level, with extensive work in policy and practice research, service to communities, and serving as forum for exchanging ideas and encouraging community entrepreneurship and innovation.